Superior craftsmanship is evident in every room of this exquisite & spectacular beachfront home. Built around a grassy courtyard with a pool & heated Jacuzzi, this home is a masterpiece of design. By design, every room in the house has an incredible ocean view. The homeÃ¢Â€Â™s entire lower level, courtyard and ocean lawn feature a wonderful music system. Enjoy the curved bamboo bar or play pool in the game room. The gourmet kitchen features custom cherry wood cabinets, granite counter tops, pull-out pantries, a wine fridge, Dacor oven, and two Sub-Zero refrigerator/freezers. With floor-to-ceiling sliding glass doors facing the well-manicured landscaping & ocean views, this is truly Hawaii living at its best. Motorized solar shades, AC, ceiling fans, & limestone flooring keep this home cool in the summer. With ample storage & amenities such as a laundry with a refrigerator, a sitting room with a salt-water aquarium, a powder room, an outdoor shower & a 2-car garage, this spacious, contemporary home feels comfortable & luxurious all at once. Also included on the property, a 2-bedroom, 1-bath, guest cottage. While dining outdoors, under the blue tile roof, you and your guests will marvel at MauiÃ¢Â€Â™s amazing, natural beauty. Take your private stairs down to the beach and you can watch the sea turtles while you snorkel, kayak, or paddle. This fabulous home is within walking distance to shopping, dining, entertainment & parks. 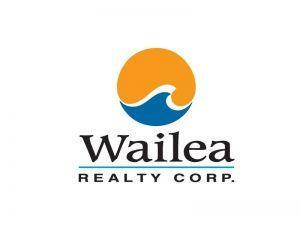 I am interested in 1736 Halama St, Kihei, HI 96753 (Listing ID # 381214).